I so happy when I find products form the annual catalog that work with items from other catalogs, specifically, the current Occasions Catalog. Today I paired the Beautifully Detailed Laser-Cut Specialty Paper with one of my all-time favorite paper packs, the Petal Promenade Designer Series Paper. The specialty Laser Cut Paper is Petal Pink on one side and white on the other side. And I love that there are 4 sheets of 2 different designs -- 8 sheets total, which means I can make multiple cards using these laser-cut papers. You'll love the delicate looks you'll create with this lovely Specialty Paper. The basecard for today's card is Petal Pink. Then a layer of Mossy Meadow. The I die cut a rectangle so the stitching highlights the Laser-Cut Design. On the opposite side, I added a piece of Petal Promenade Designer Series Paper. The sentiment is stamped in Mossy Meadow. I tried it on both Very Vanilla and on Whisper White to see which I preferred. You can see both sentiments below. I'm still not sure which I like better. The sentiment uses the Label Me Pretty Stamp Set. The two images are stamped individually and then punched out using the Pretty Label Punch and the center is punched out using a 1-1/4" circle punch. The ribbon at the bottom of the card is tied in a double bow. 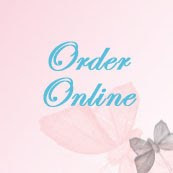 It is the Petal Pink/Whisper White 5/8" Variegated Ribbon from the Occasions catalog. This ribbon is currently out of stock but it is expected to be back in stock by April 15 so you can add it to your order and it will ship to you separately as soon as it arrives. This card can be dressed up or dress down based on the sentiment you choose to add. Send someone a card you've hand made today to let them know how special they are to you. Questions & Answers about Storage by Stampin' Up! Stampin' Up! just launched Storage by Stampin' Up!. And now you can design your stamping storage space any way you want using the modular storage solutions that lets you customize and organize your space your way. Q. Can I mount my Storage by Stampin' Up! products on the wall? A. The Open Storage Cube can be used to hold any miscellaneous items like ribbon, embellishments, and small punches. For more inspiration on ways to use items from our Storage by Stampin' Up! product line, check out the configuration chart we created, below. Q. Can I mix and match Storage by Stampin' Up! products? A. Yes! Our Storage by Stampin' Up! products are modular and designed with customization in mind. Take a look at the dimensions on my online store for each item in our new modular storage product line. A. No. The Storage Lid covers the top of Ink Pad & Marker Storage Trays, Stampin' Blends Storage Trays, and Open Storage Cubes, so you need only one per storage configuration. Q. Are Storage by Stampin' Up! products free-standing or stacked? Q. 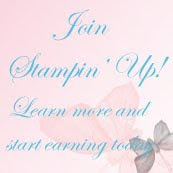 Will there be expansions to the Storage by Stampin' Up! product line in the future? A. 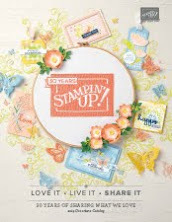 Like all of our product offerings, we hope Storage by Stampin' Up! will be successful and expand. However, at this point in time, we can't guarantee any additional modular storage products in the future. A. 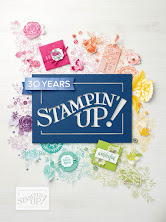 Are there any Storage by Stampin' Up! bundles available? A. We are not currently offering any bundles for items from our Storage by Stampin' Up! product line. If you're looking for examples on how to mix and match our storage pieces together, please take a look at the configuration chart we put together and provided for download, below. A. How many Stampin' Ink Refills can I store in the Storage Topper? A. You can store up to 20 Stampin' Ink Refills (or other small items) in the Storage Topper. A. No When you insert an ink pad into a storage tray, a small portion of the ink pad will stick out. We designed it that way, so your ink pads will be both secure and easy to access. Q. Can I buy individual Ink Pad & Marker Storage Trays and/or Stampin' Blends Storage Trays? A. No Both of these items include a set of five white plastic trays. Please use the configuration chart, below, to determine how many storage units you need. Q. What material do you use to make Storage by Stampin' Up! products? A. To protect your surface and prevent slipping, we're including peel-and-stick silicone feet with the Ink Pad & Marker Storage Trays, Stampin' Blends Storage Trays, and Open Storage Cube.